Make sure that you are running the installer as Admin and that your anti-virus software is disabled. Problem: PSF and Midi files are not a faithful representation of the original game music. Solution: I have created looping OGG Vorbis files from the official OST. To make this pack a trade-off between quality and size, I have created files with a target bitrate of 192 kbit/s. The OST has superior audio quality to PSF and the original game. It is identical to the original Playstation audio, except that it is higher quality. As well as the original soundtrack, I have included my favourite orchestral and fan-made arrangements. The installer comes with all needed files to work with FF7. Looping ogg, Normalizing, Editing, Installer. Individual credits for the fan contributions are in the Readme. Special thanks to Luksy who translated the OST names because, as usual, Square's translation service let us down. Btw just 1 question from what i read, your going to use the music used in the original psx version and loop it on the pc? not just original psx, the actual official professional OST release which is the psx version For most people there won't be a difference between these and the PSF, but get a good stereo system and you will notice it. The point of this isn't just quality gain, it is mainly to allow for a time when PSF can't be used because I am sure sooner or later we are gonna end up with music playback from the driver and not ff7music. I think ogg vorbis is lossy whichever way you look at it. And no to the 5.1 Sorry. The difference between good quality ogg and uncompressed is very very small... as to be negligible. The difference between PSF and OST is noticeable. Disc 1 is finished and is here. Should be perfect, aside from the names and the fact bombing mission will need altering to make it line up with barret's animation at start. It should take a further 2 days before I am done with the rest. EDIT: THE bombing mission music needs script fixing via touphscript. The reason the difference between PSF and the original OST is noticeable is because the OST was heavily touched up. The PSF version sounds identical to how the music sounded on the original playstation (barring any minor emulation glitches), without the additional mastering that went into the official soundtrack. I agree that the OST sounds noticeably better, but it is technically less accurate to the game (and missing a few songs, two I think). It took me ages, but I worked it out. 0063C29B memory is the area dealing with movie framerate and the bombing mission music start. This entry below needs to be changed to make the music sync with barret's animation. 0063C2B6 is the compare (compare current frame at 00CC0E10 with value and if the same, play music). originally set to frame 1760 of opening.avi. Seems the porting team patched this into exe, usually all frame comparisons are done in flevel via script. I will amend this via patch in final installer, and also produce a standalone patch for everyone to use. edit: the music is exactly 2 seconds out. Change 0063C2B8 (exe 0023b6b8) to C2 and the error will be corrected. I'm glad this is being done at least. Having recently finished a full playthrough I can say looping OGG enhances the experience. I do prefer the orchestral versions where I can get them though - "Main Theme" "One Winged Angel" (NOT THE BLACK MAGES VERSION!!" but this will probably be my choice when it comes out. No offence to FinalFantim (some of his do-over's are awesome) but that entire remix track is too midi like for me. No bass, doesn't really float my boat. I will add a few of the faves to the project at the end I like some of them, so I will create a separate release for the best ones. I do think orchestral is the way to go where possible. I believe that's how they would have sounded if the game was made just a few years later. Although obviously the originals are the priority. place this fix in with ff7.exe, and run it to correct animation lag with barrett. Then use my bombing mission ogg. Enjoy. May give false positive to virus. Well that's one way of doing it... but I guess a better way is simply taking off 2 seconds from start of ogg and fade in.... so it is up to you which you use (if using remix pack you prob need the patch). I will take 2 seconds off I think though! nah that sounds crap too... i've gone for patch + fade in. Anybody out there got a recording of actual psx gameplay using capture card? (not emulator, PC or anything else). I need it to verify the opening sequence (time just before the music starts at the end of FMV, to just after barret's arm syncs to the music) and every video uploaded to youtube seems to be from a bunch of cretins who don't have a clue what they are doing. It may also be made worse due to other problems with ps3 emulation etc which delay the music. I need a ps1 recording from actual ps1. (ps2 might do... hell ps3 might, it might just be incompetence). This is a great project, thank you. How good is FF7Music at syncing with the game though? It's been a while since I've used it, but when I last did it behaved kind of strangely at times. I wasn't aware that there's an official 5.1 mix of the FF7 soundtrack. Assuming it is set up right, and you have a decent computer, the lag should be no more than 0.3s. Mine is more like 0.1 now. I will knock a few frames off that too to make it better Just waiting for now. I am scouting for good remix material etc... and other OST. So far got a few good remixes and tunes, most of the well known ones didn't make it because I think they are crap. The only tunes that made it from the voices of lifestream were Omnislash and Jenova Returns. I have looked over em all or at least nearly all but cheers! That is awesome! You going to use that for battles? 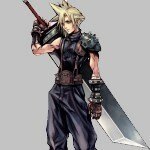 After following that link I listened to the FFVII one and it's just as awesome. I never knew about these so thx for sharing! 1. Crap. As in, you have to have no musical taste to like them. 2. Sound nothing like the original. 3. Don't fit the game. That was the criteria I used, and only a few made it. Sometimes I ignored 3 and 4 if the tune was good. If you have any suggestions on what I could add, please let me know, but make sure you are not gonna be easily offended if I call it crap, because if I think it is, I will I will add only those which I think work. I have looped and edited them as best I can, and also normalised a few of them to try and maintain a constant volume. I make no promises that this will be amazing but it should be reasonable! There should be 0 problem with the original OST music, so if there is, let me know! 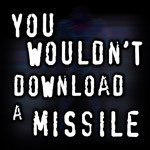 Since this comes with a patch for ff7.exe to solve the sync at the start of the game, you should turn your antivirus off before using this installer. Read the readme! The readme is seen on the license page after opening A001. Make sure to set the ff7_opengl.cfg file correctly before use. I will add a program to do this manually for A002.